To Design recently received a 2018 Merit Award from the CT Trust for Historic Preservation for our work with the City of New Britain on multiple memorial rehabilitation projects. New Britain values the importance of maintaining public sites of honor and gratitude for our veterans. With this sentiment, they chose To Design to prepare specifications, drawings, and maintain project oversight for the restoration of the World War Monument, the Spanish American War Memorial, and the John Campbell Square WWII Memorial. 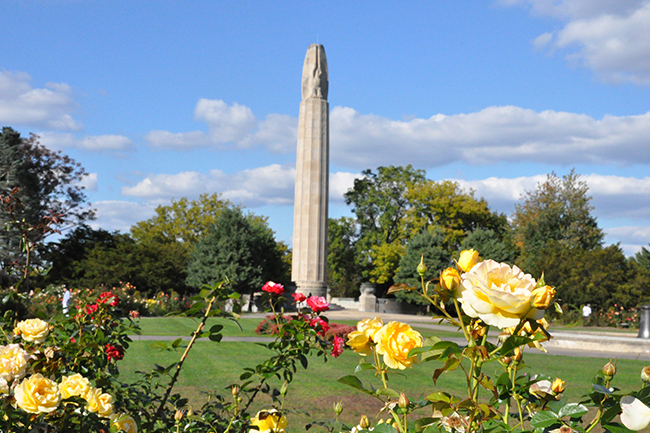 The World War Monument in Walnut Hill Park had many damaged limestone blocks, as well as stolen bronze plaques honoring New Britain men killed in the war. The Spanish American War Memorial had been defaced with graffiti and had missing plaques. 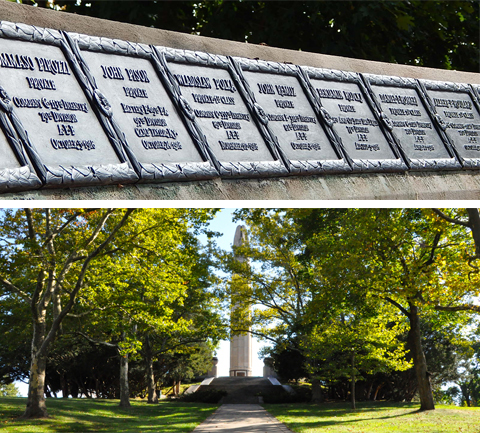 Our work involved the research and recreation of the original plaques and names honored at these sites. Top: WWII Monument in John Campbell Square. 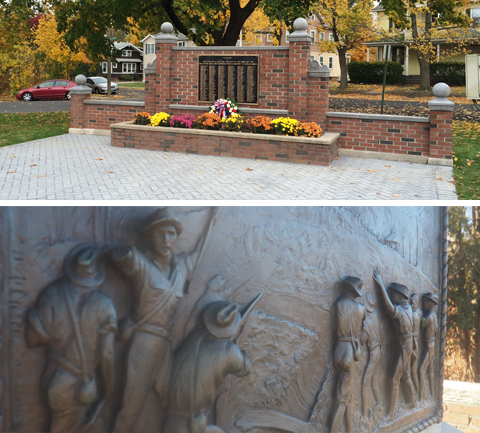 Bottom: Restored bas relief plaque at the Spanish American Veterans Memorial, Willow Brook Park. We're proud to have been an important player in these restoration projects that pay homage to our veterans.